I know our Cook’n readers are savvy and accomplished cooks, but I still have to ask: Did you know there are 11 different kinds of sugar available for our cooking and baking pleasure? I sure didn’t. So I was wondering how well you know your sugar varieties? What's the difference between turbinado and demerara, for instance? Is caster sugar the same as confectioners sugar? It’s a good thing this isn’t a test, ‘cuz I’d flunk. So if you’re feeling as fuzzy on the subject as I am, here’s a sweet (pun intended) tutorial on the subject. 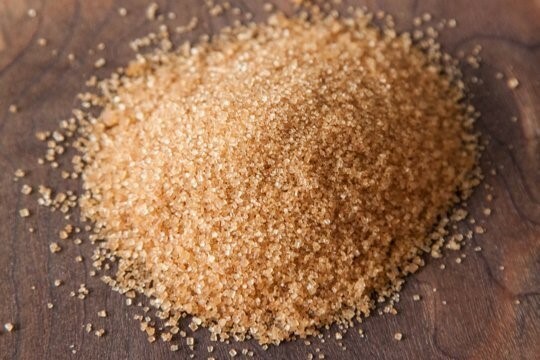 From white sugar to cane sugar and rich brown sugar, here are 11 sugar varieties we ought to know, plus favorite ways to use them, courtesy of the folks at www.thekitchn.com. When you think about sugar, the first thing that probably comes to mind is sweetness. And while it does sweeten baked goods, savory dishes, and drinks, there are many more uses for sugar. It adds rich caramel flavor, texture, and decoration. It also works to make dough tender, provide stability for egg whites when making meringues and pavlovas, and helps baked goods achieve a nice golden brown color. So let’s start with the type we’re most familiar with—white granulated sugar. It’s a highly refined, multi-purpose sugar. 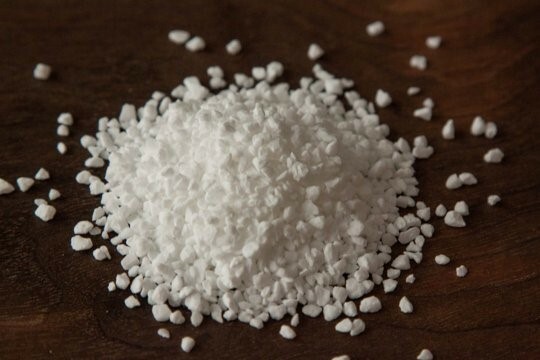 It's also sometimes called refined, table, or white sugar. When people talk about "sugar," this is usually what they're talking about. 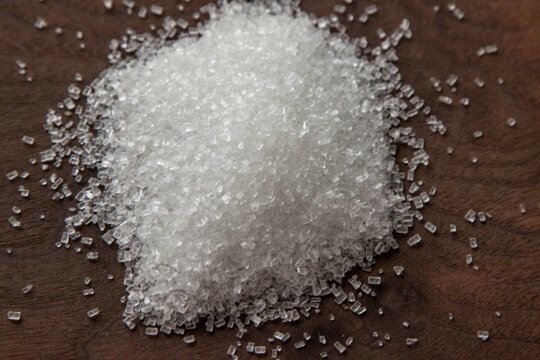 Granulated sugar is made from sugarcane and sugar beets. It's also the most common type of sugar used in baking and cooking. Next is caster sugar. It is superfine granulated white sugar. 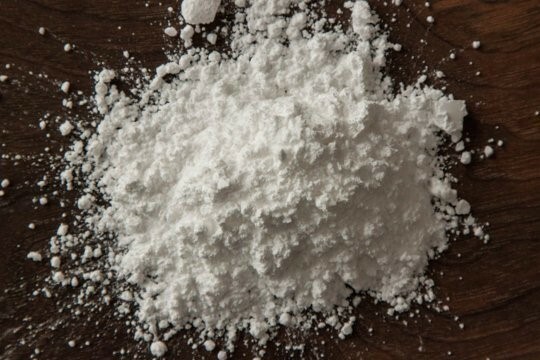 Because the crystals are so fine, they dissolve much quicker than standard granulated white sugar, which makes it ideal for making meringues, syrups, and cocktails. Confectioners’ sugar , also referred to as powdered sugar and 10x sugar, is a type of white sugar that’s been ground into a fine powder. To prevent clumping, a small amount of cornstarch is typically blended in. Confectioners' sugar easily dissolves in liquid, and is ideal for making icing, frosting, as well as decorating baked goods. Pearl sugar , sometimes called nib sugar or hail sugar, is a variety of white sugar that has a coarse, hard texture and an opaque color. It also holds its shape, and doesn't melt when exposed to high temperatures. Pearl sugar is commonly used in Scandinavian baking to decorate pastries, cookies, and buns. Sanding sugar is used mainly for decorating. It has large crystals which are fairly resistant to heat, and add extra texture and crunch to cookies and other baked goods. You can find it in a rainbow of colors. Cane sugar , unlike granulated sugar, which comes from sugarcane or sugar beets, is produced solely from sugarcane and is minimally processed. It also has a slightly larger grain, darker color, and higher price tag. 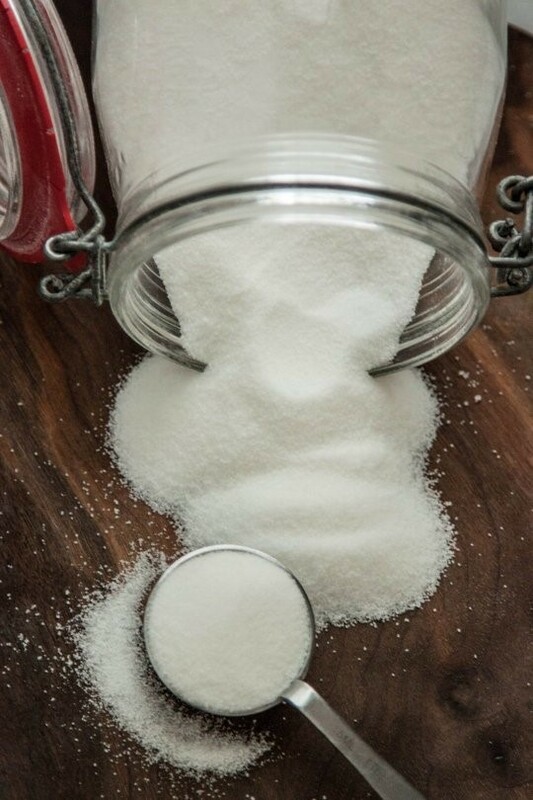 Use cane sugar the same way you would granulated sugar. 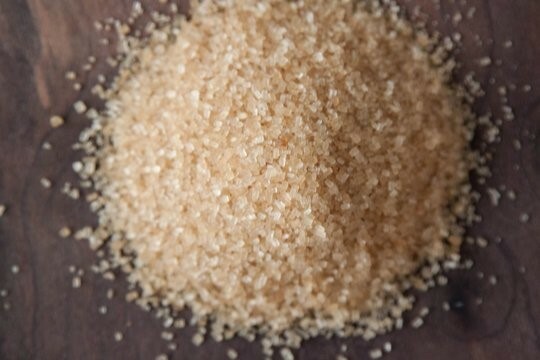 Demerara sugar is a variety of raw cane sugar that is minimally refined. It has large grains, with an amber color, and a natural, subtle molasses flavor. Use it to sweeten coffee or tea, and as a topping on baked goods, like muffins, scones, cookies, and cakes. 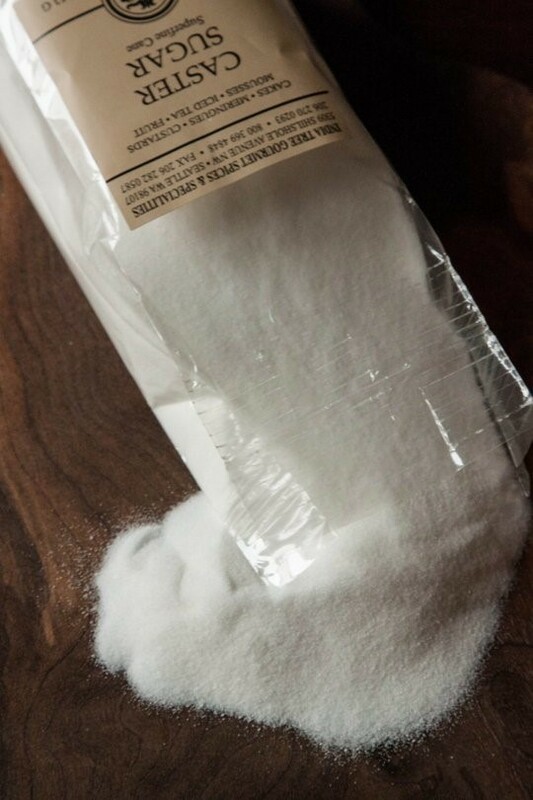 Turbinado sugar is another type of minimally refined raw cane sugar. 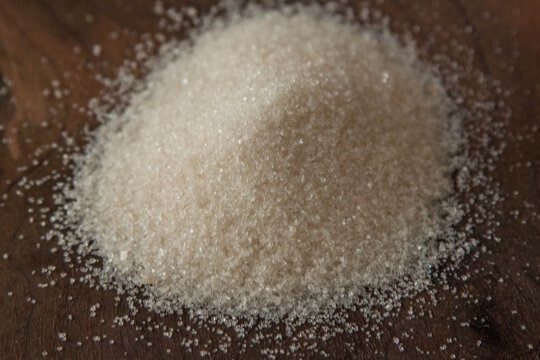 This sugar variety has large, medium-brown crystals, and is often mistaken for standard brown sugar, because of its color, though it's not the same thing. Turbinado sugar has a delicate caramel flavor, is commonly used to sweeten beverages, and can also be used in baking. 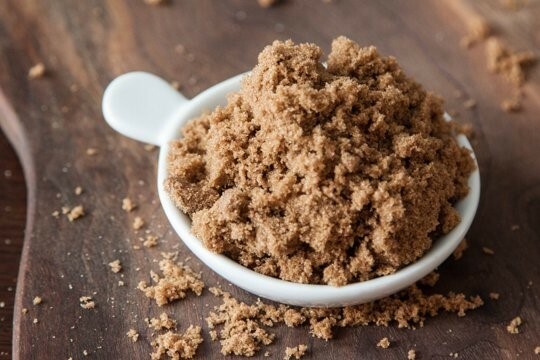 Muscovado sugar , also known as Barbados sugar, is a variety of unrefined cane sugar in which the molasses isn't removed. It comes in dark and light varieties, and has a sticky, wet, sandy texture with a rich, complex flavor. 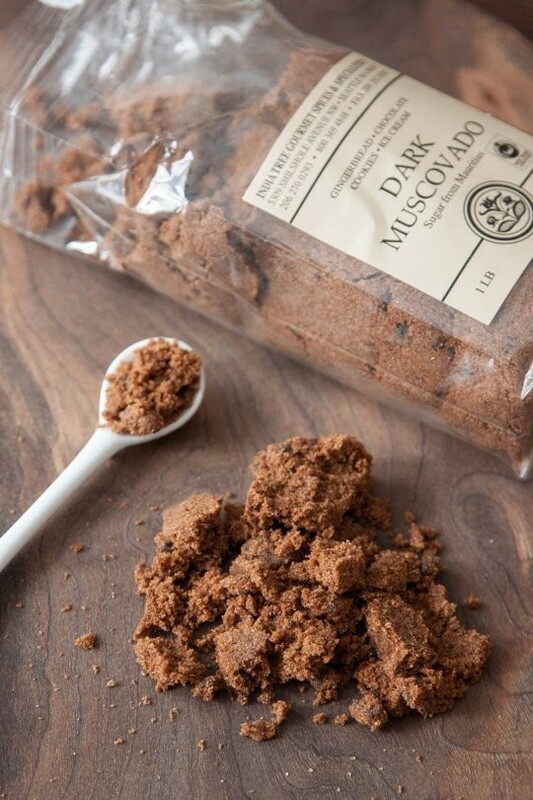 While muscovado sugar can be used as a substitute for brown sugar, its flavor is much stronger. It's especially wonderful in barbecue sauce, marinades, and savory dishes. 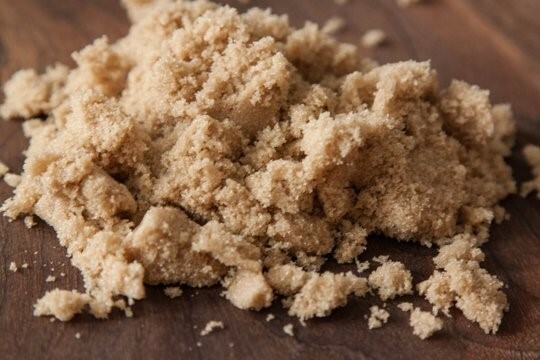 Light brown sugar is refined white sugar with a small amount of molasses added in. It has a wet, sandy texture — though less sticky than muscovado sugar — and a delicate caramel flavor. Use it for making any baked goods, as well as in savory dishes. Dark brown sugar , like its lighter counterpart, is refined white sugar with molasses added in. It contains more molasses than light brown sugar, which gives it stronger, more intense flavor. Light and dark brown sugar can be used interchangeably.